Well, its been a crappy month so far – but doing some work on this force has been keeping my feet on the ground. As the rubbish weather looks finally to be on the turn and jobs outside mounting I expect less and less time will be spent on this – so I thought a review of progress was in order. 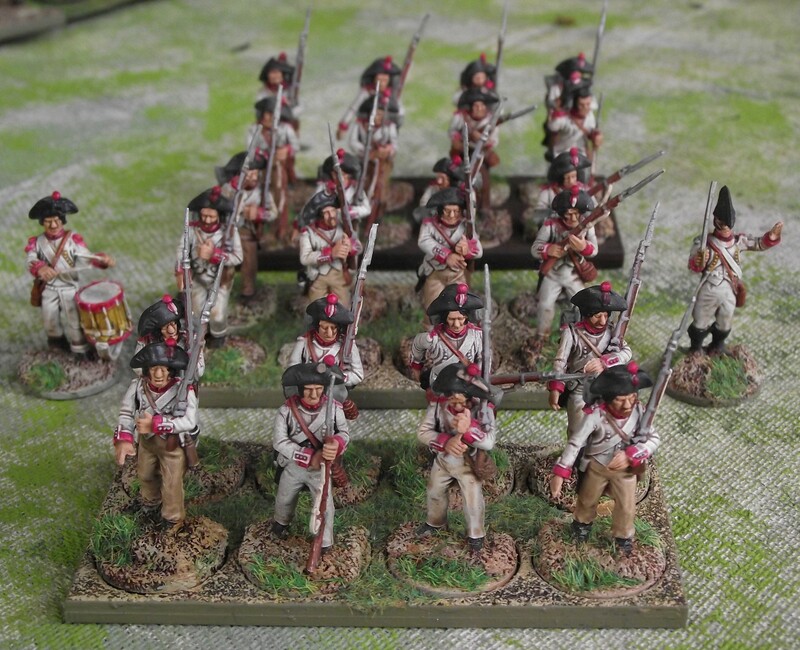 Firstly, some Spanish regular infantry – 3 groups of 8 plus officer and drummer. 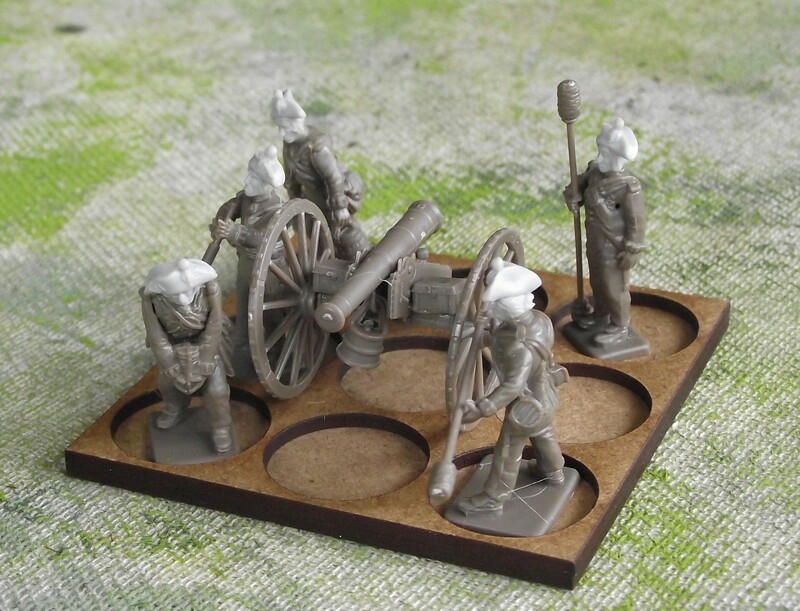 These are made from the Victrix 1804-7 French Infantry set, with no conversion just a paint job. I feel another 2 more groups maybe required. Secondly. Odd one this I made them a while ago (for Sharp practice 1) – A group of Spanish regulars, Regiment Muerte, created from the Victrix British centre company set (a lot of later Spanish uniforms were supplied by the British). Again no conversion just a paint job. I am not keen on this group so will not make any more. 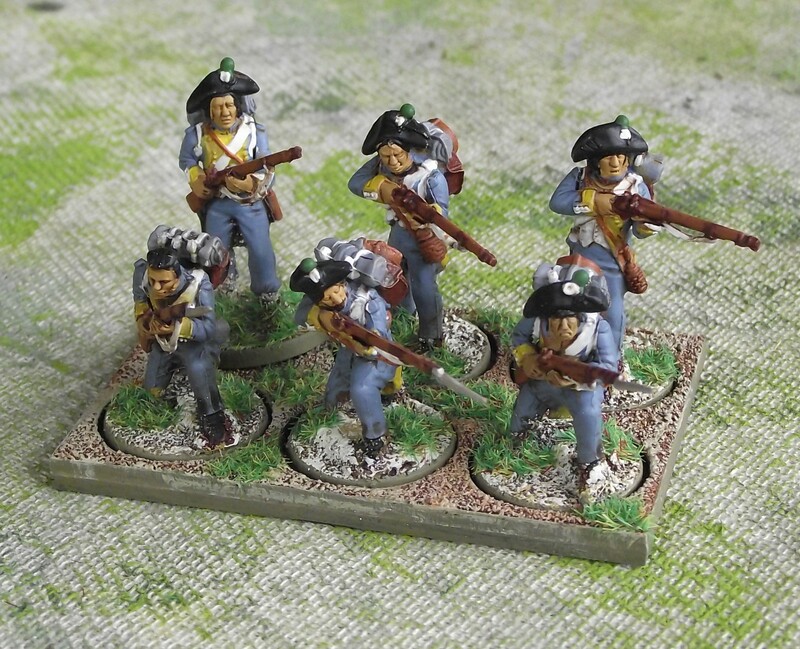 Next, two groups of Spanish Grenadiers, should be 8 figs a group but I made these for SP1 and only did 12 – so I need to do another 4! 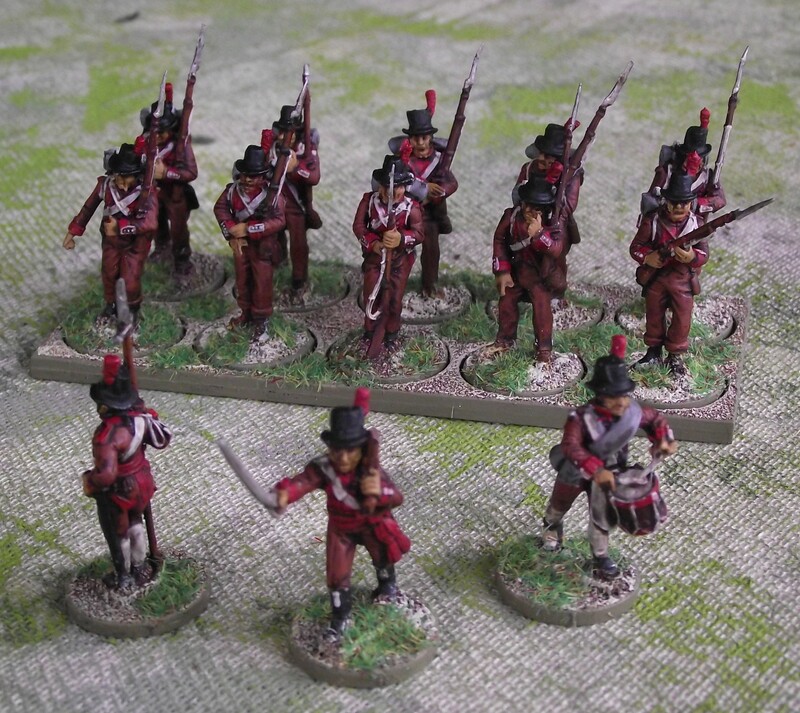 These are built from the Victrix 1804 French set – with bearskins – however the bearskin has been converted and the Spanish style bag has been built (but not painted very well!). Sad, awkward looking officer – need to find some stylish ones. Then we have the light infantry – the Light regiment of Catalonia. Built from the Victrix 1804 French set – just a paint job needed. Currently one 6 figure group, I aim to have another 3 groups. I need to find some appropriate officers. 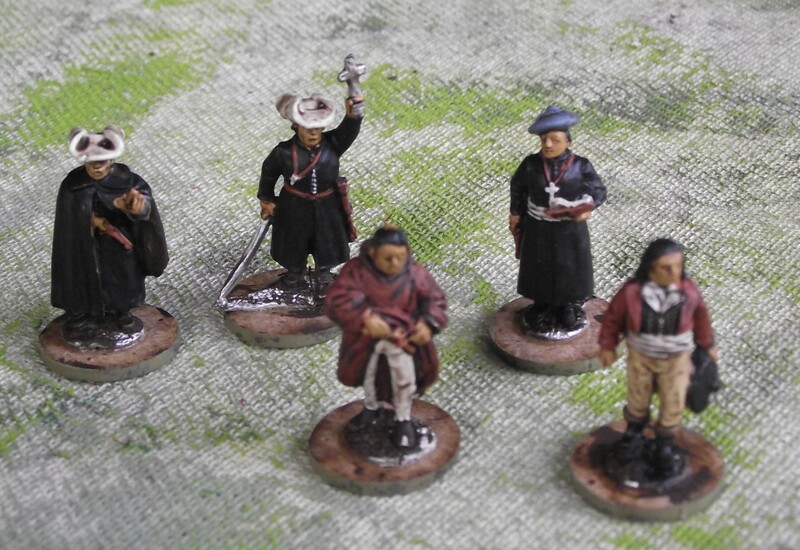 And then we have Guerillas – 4 groups of 6 with a couple of officer types. 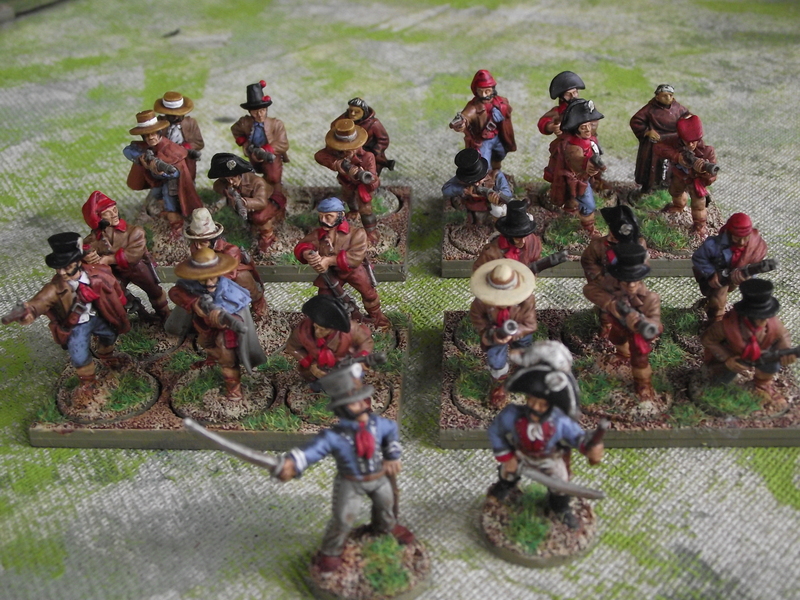 These are Front Rank with a few Perry Carlist Wars armed monks added to make the numbers up. I love these, shame Front Rank look so out of place against other figures. 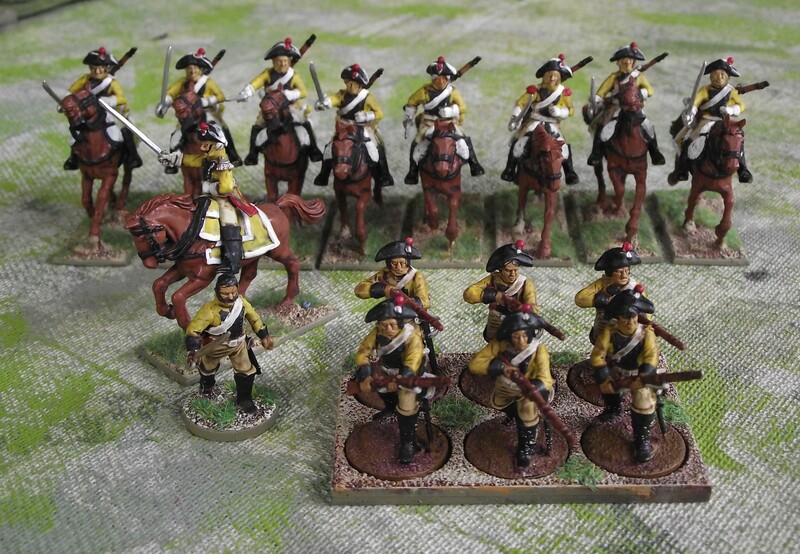 Then we have the cavalry – these is a 8 figure group of Spanish hussars (the Espagne regiment) plus an officer (unbased – to be done). 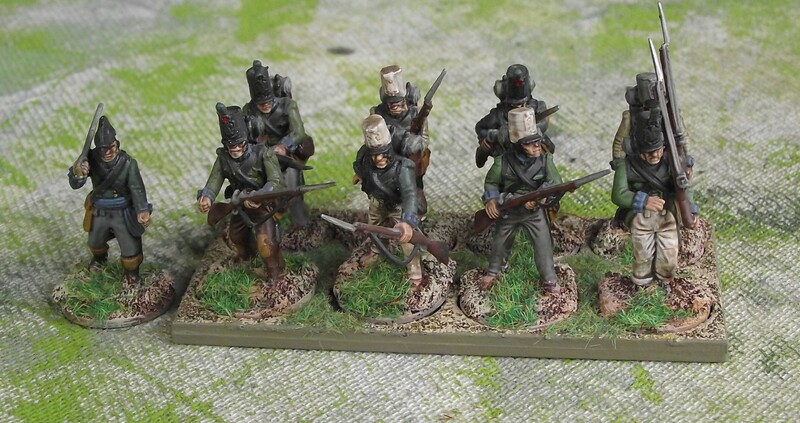 These are Perry French Hussar figures using the Tarliton helmet. Just a paint job needed. And then the Dragoons – 1 group of 8 mounted Dragoons plus an officer, and 1 group of 6 dismounted Dragoons plus an officer (basing to be finished). 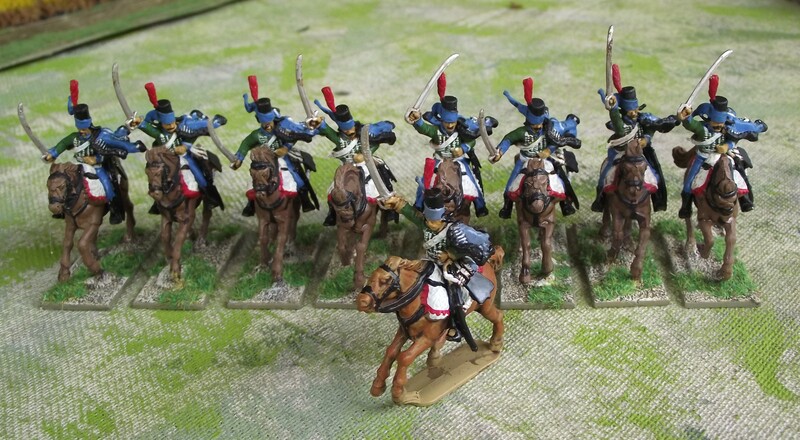 Figures are Perry French Dragoons with Victrix 1804 French Infantry bicorne heads and then a paint job. Not sure if this works – but a Victrix British 9 pounder and crew (with Victrix 1804 French set bicorne heads) – hmmmm….need to be finished. I’m really pleased how I have got this Sanish force together by just using other figures I had lying round – its been fun (and cheap)!!! All the conversions work for me. I really like the concept.